TORONTO, (Feb. 8, 2017) – Martin Havlat has announced his retirement today from the National Hockey League (NHL), following 14 seasons. - An excerpt from Martin Havlat’s personal letter of reflection on his career, available at NHLPA.com. Nicknamed “Mach 9” in recognition of his explosive skating and jersey number, Havlat was drafted out of the Czech Extraliga (HC Ocelari Trinec) by the Ottawa Senators, 26th overall, in the first round of the 1999 NHL Entry Draft. Armed with great speed and a blistering wrist shot, Havlat impressed in his debut season (19-23—42) to finish as a Calder Memorial Trophy finalist in 2000-01, and he was also named to the NHL All-Rookie team. He helped Ottawa earn the 2002-03 Presidents’ Trophy, and during the club’s playoff push to the Eastern Conference Final, Havlat posted 5-6—11. He went on to set a career-high with 31 goals the next season, while averaging a point-per-game in his 68 appearances. Havlat spent a total of five seasons with the Senators and helped the club reach the postseason each year (14-20—34 in 41 playoff GP). A testament to his knack for timely goal-scoring in Ottawa, with 23 game-winning goals in 298 regular season games, Havlat was recently named to the Senators’ 25th anniversary team as voted by the fans. In July 2006, the Chicago Blackhawks acquired Havlat alongside Bryan Smolinski — sending Tom Preissing, Josh Hennessy, Michal Barinka and their 2008 second round draft pick in return. This led to Havlat wearing jersey No. 24 for the first time in his career. The change appeared to agree with Havlat, who in his first game as a Blackhawk on Oct. 5, 2006, matched two goals with two assists, and completed a bounce back season from his shoulder injury by making his first NHL All-Star Game appearance in 2007. Havlat spent three seasons in Chicago, which he punctuated with an impressive 2008-09 season when he set career-best marks in assists (48), points (77) and plus/minus (+29) in 81 games. He led the team in assists and points, while he placed second behind teammate Jonathan Toews’ 34 goals. For his efforts, he was named the Blackhawks’ team MVP. He was also a key playoff contributor for Chicago that season. In the opening game of the first round, Havlat netted both the game-tying and game-winning goals. He led the team with 15 points on their run to the Western Conference Final. Havlat signed a six-year contract as a free agent with the Minnesota Wild in July 2009. In 2011, he made his second NHL All-Star Game appearance. Havlat averaged 58 points in 75 games during his two years in Minnesota (40-76—116 in 151 GP). He was traded in the 2011 offseason to the San Jose Sharks, in exchange for Dany Heatley, but he missed a large portion of 2011-12 after sustaining a hamstring injury. Havlat remained in San Jose for three seasons, prior to signing with the New Jersey Devils in 2014 as a free agent. In November 2015, he signed a contract with the St. Louis Blues after initially joining the team on a professional tryout. While he scored the game-winning goal in his debut with the Blues on Nov. 10, 2015, his stint with the club came to an end after two games following his request to be released. Internationally, Havlat represented the Czech Republic at the International Ice Hockey Federation (IIHF) World Championship on three occasions (2000, 2004, 2011), earning a gold medal (2000) and bronze medal (2011). He also played in two Olympics (2002, 2010), led the Czech Republic in scoring (3-3—6) at the 2004 World Cup of Hockey and he won a gold medal at the 2000 World Junior Championships. 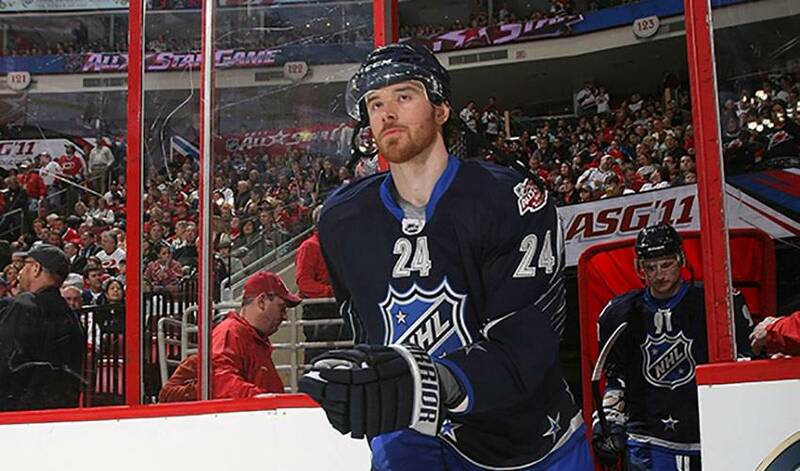 Havlat currently resides in Boca Raton, Florida, with his partner Ivanka and their two daughters. “That was fast. I feel like I was just getting started in the NHL a short while ago. I would love to continue playing but my body will not allow me to play at the level I expect from myself. As a result, I am announcing my retirement. “I feel very fortunate to have played in the NHL for 14 years. Rest assured, I am retiring as a grateful man. I will be forever thankful to the Ottawa Senators for helping make my childhood dream come true. I also had the privilege of playing for other exceptional organizations. I am grateful for the time spent with each team and the great teammates I had the pleasure to be around on and off the ice. I would love to thank all the fans, especially in Ottawa and Chicago for the unforgettable memories. Special appreciation goes out to Marshall Johnston, Jacques Martin, Joel Quenneville (unfortunately, I had only one season to play under the best coach in the league), Dale Tallon and Chuck Fletcher. All these men had a tremendous impact on my life and career. I would also like to thank all the doctors and trainers who were there to try and keep me in one piece; I know it was not easy. I would like to thank my agents Allan Walsh and David Schatia, for being more than just agents, fighting for me and doing the best they could. "Happy I did everything I could." "Hockey was my life, but the last few years, I just couldn’t play the way I wanted to play. My heart wanted to keep on going, but my body didn’t allow me to do it. I felt it was time. I know I’ve made the right decision."